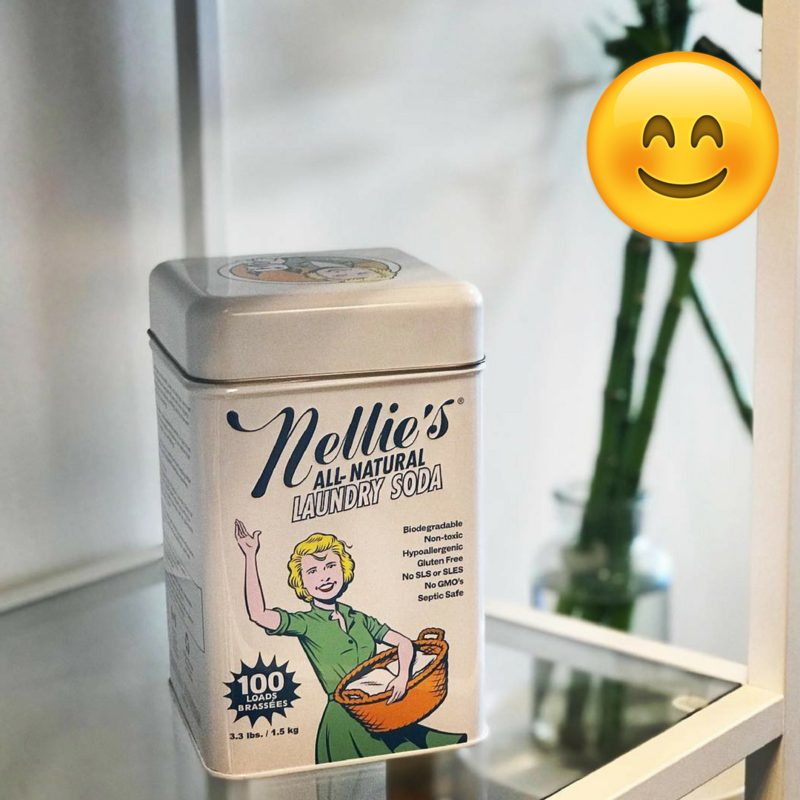 Why are Nellie’s cleaning products based on powder? We get that question a lot, lately. We decided to make a quick run-down to formulate why they choose washing powder and why you should ditch the liquid. You will be amazed by how progressive yet simple the reasons are! Traditional liquid detergents are made up largely of water. That means that when those products are being transported, water is being moved around te world. That doesn’t make much sense. Nellie’s does not believe in shipping water from the place to place. Using powder is a no-brainer at Nellie’s. Our plant-based formula is biodegradable, so while being tough on stains, it’s gentle on the earth. Our Laundry Soda uses renewable energy as it’s made with a plant-based surfactant. You know, plants grow back! This one is even simpler. In washing powder more power is packed! Nellie’s Laundry Soda is more concentrated than traditional detergents, and one tablesoon is all you need for each regular-sized load. That’s it! Many conventional powder detergents use suds-producing fillers, like SLS and SLES, which can be harmeful to your HE machine. Nellie’s on the other hand, is a low-sudsing detergent, making it perfect to use for your HE washing machine. Nellie’s Laundry Soda contains no fillers and consists of only 4 ingredients. You can probably pronounce them all 4 – no shady chemicals. The formula rinses completely clear, leaving no traces behind to irritate your skin – no perfumes, no phosphates, no optical brighteners, and no solid synthetics. Simply put, powder is better. For you, and the environment. Think about it. It’s that simple. This entry was posted in Stories and tagged Cleaning, detergent, ecofriendly, hypoallergenic, Nellies, nellies all naturals, save water, sustainable, washing liquid, washing powder.